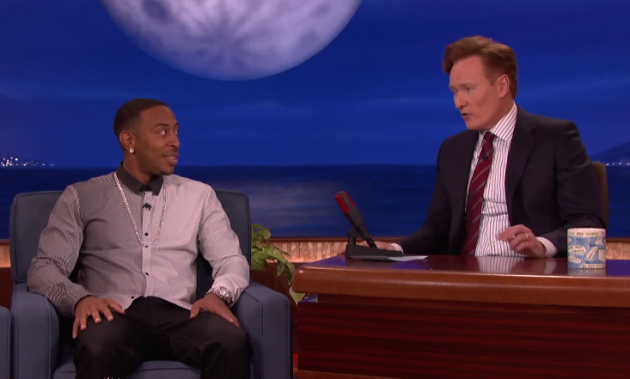 Rapper, actor, and avid bowler Ludacris stopped by Conan recently to promote the release of Furious 7 and his new album Ludaversal. During the interview, the topic of Luda’s beloved 1993 Acura Legend—which is prominently featured on the cover of Ludaversal—came up. Having racked up over 283,000 miles on the Legend, Ludacris admits that he’s basically had to replace all of the car’s original parts. “Fess up, you took the shell of that car and put it on a Bentley,” Conan quipped. Ludacris also took the time to plug Forza Horizon 2, the new racing game based on Furious 7, which enables gamers to donate to Ludacris’ foundation, which supports inner-city kids. Conan also admitted that he still owns his old 1993 Ford Taurus, and suggested that Furious 8 should feature a 60 mph race between he and Ludicrous, each of them in their respective “classic” vehicles. Between the additions of Helen Mirren and now Conan O’Brien, Furious 8 is shaping up to be one hell of a movie. Fuel for Thought: Do City Drivers Face Higher Insurance Rates?